Nvidia is publishing a book on real-time ray tracing. Ray Tracing Gems will be available as a hardback from mid-March, just in time for GDC and GTC, with an eye to educate developers on the concept of ray tracing – the “holy grail of graphics tech”. You needn’t swing by these tech conferences to pick up a copy either as Nvidia will be releasing the book, chapter by chapter, for free online. Nvidia launched the Nvidia Turing RTX 20-series late last year. 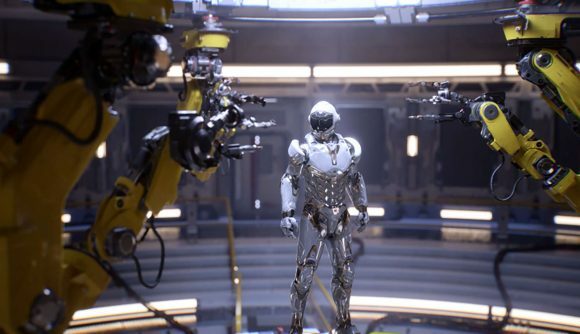 Packed with ray tracing RT Cores and inference-inducing Tensor Cores, the architecture is the first to offer support for Microsoft’s DirectX Raytracing (DXR) API. However, many months after the RTX 2080 and RTX 2080 Ti launched, there’s only a single game that offers genuine ray tracing in-game: Battlefield V.
So it’s no wonder Nvidia is hoping to convince developers that ray tracing really is something dedicating precious people hours to during the dev cycle. Metro Exodus is the next big title to join forces with the green team and incorporate RTX tech, but more devs will need to try it out for themselves if ray tracing is to gain any mainstream momentum this generation. The book (via HardOCP) covers “techniques that are often not discussed in general texts but that are important for high-quality results”. It also includes tutorials on the latest ray tracing developments and best practices for devs to get their heads around the graphics technology. The first chapter of Ray Tracing Gems (Apress), edited by Eric Haines & Tomas Akenine-Möller, is available to read right now for free over at the Nvidia Developer website. Here’s a direct link to the part 1 PDF – made available under the Creative Common 4.0 International License (CC-BY-NC-ND). These chapters, set to release throughout February, are only ‘preprints’, with the finalised published edition with all the trimmings set to be finalised and published online by the end of the month. The hardback is available to pre-order for the grand total of $60 over at Amazon.